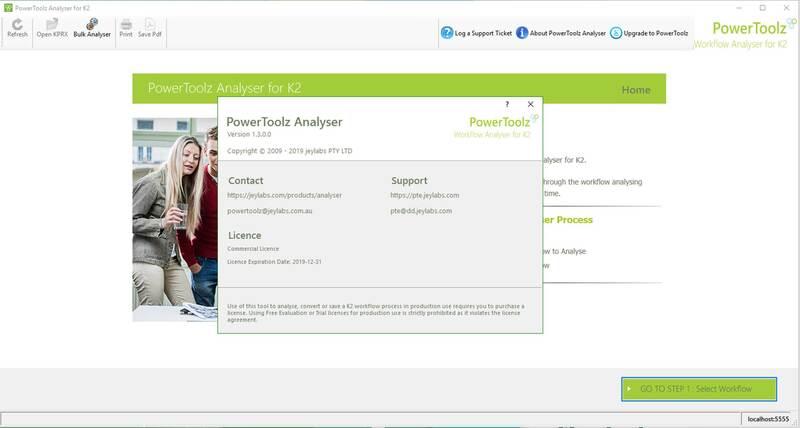 PowerToolz Analyser can be run on any K2 4.7 or K2 4.6.11 environment to prepare and plan for your K2 Five upgrades. 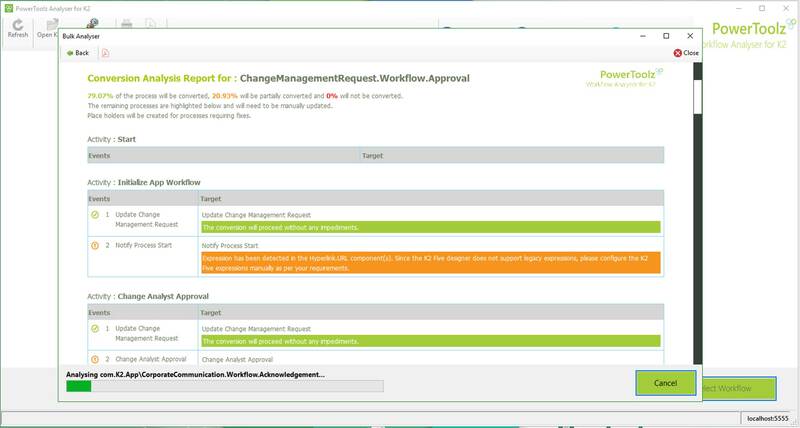 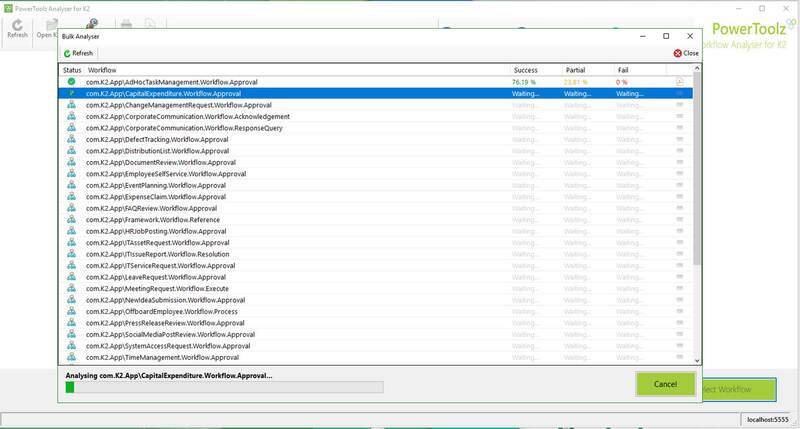 PowerToolz Analyser will provide estimates around workflow conversions to K2 Five 5.2 from legacy K2 workflow process definitions. 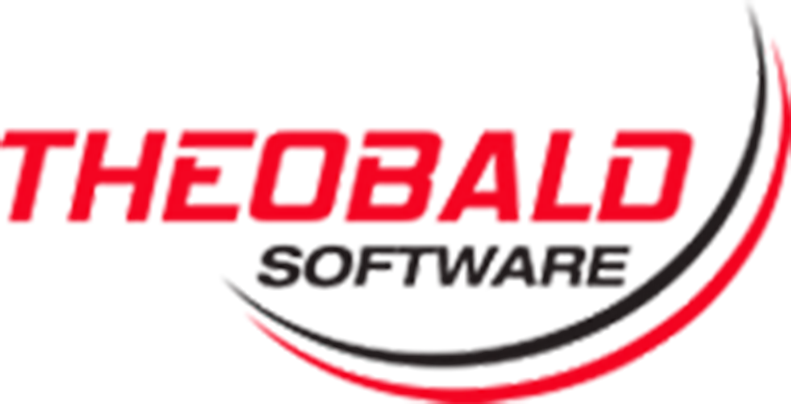 PowerToolz Analyser is now available for purchase.